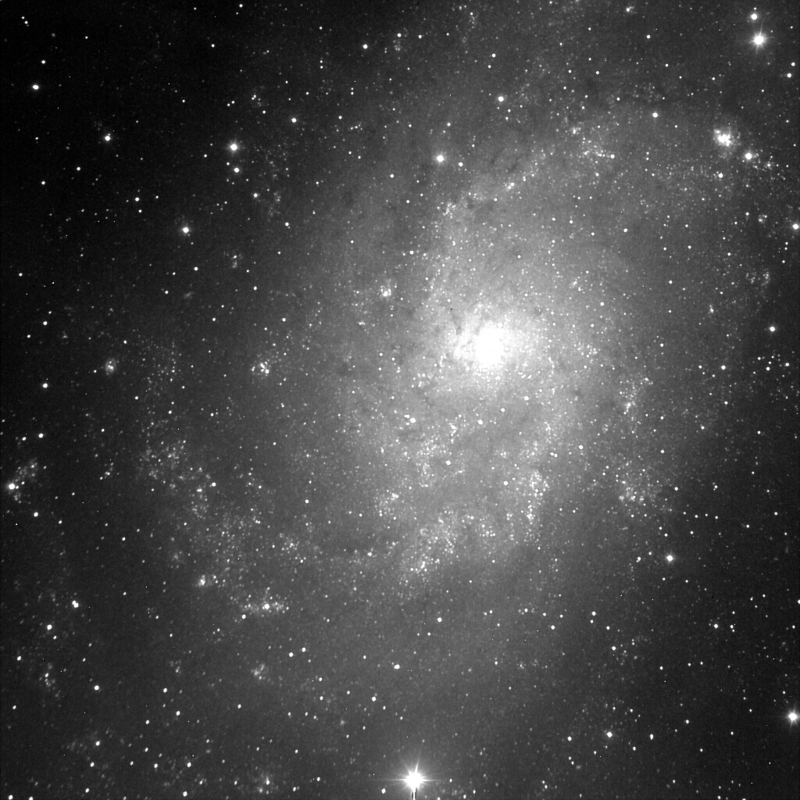 A recent image of M33, (the Triangulum Galaxy) 20 minutes long taken 8-3-16 at Sandlot . It’s a great target for fall observing. It’s over 1/2 degree wide and has a multitude of obvious nebulae. (Enhanced more so in a a color image.) It’s a relatively close-by galaxy at a distance of 3 million Lt. Yrs.